When you buy equipment from us, we can often install it the same day*. And Our Installation Services are available whether you are buying product from us or not. 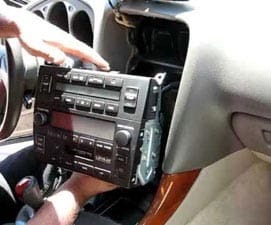 What Does Car Stereo Installation Cost? If you’re purchasing the stereo from us installation begins at $59.99 plus any parts if you need them. Sometimes the installation price can vary depending on vehicle make, model and the type of stereo you purchased. If you have your own stereo, customer installs usually run $10 more. We’ll quote you an exact price before any work is done. Sometimes we may need to see the car and equipment at our store location to give an accurate quote. Read More about car stereo installation here. We install customer product every day. You don’t have to buy it from us. Our installation cost is lower if you buy your product here. However if you bring your own product in, we can probably install it for you. Customer installations are done most days as long as we have time. Just be prepared to drop off your car for the day if we’re busy. 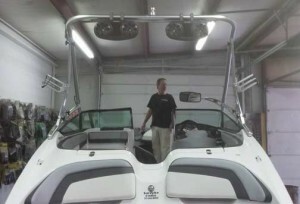 Few shops in Kansas City are able to accommodate customer installations like we can. 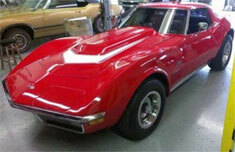 As a result we help folks like yourself every day with their car audio installation needs. During the busiest times of year, like around the Christmas holidays, we are often booked with our own sales. Consequently we may not able to perform customer installs at these times. or give an estimate of needed repairs. If your product and installation is covered by our local warranty support, our service & troubleshooting is FREE. Also the repair or correction of the covered problem is FREE. We have a beginning service fee of $69.99 for troubleshooting your own system. The fee can be less or more depending on the details of your situation. We’ll find out what’s wrong and either fix it or give you an estimate of any additional repair costs. However many times we can fix your problem for the troubleshooting fee itself. Questions? Call us: 816-356-8700. We fix car audio wiring and car audio installation problems. For instance if your system doesn’t sound good, someone has got to figure out what’s actually causing the problem. For example, is it the speakers, the stereo, the amplifier or the installation itself. We can fix many aftermarket car alarm or remote start systems. If your in-dash touchscreen video deck isn’t working or your backup camera isn’t coming on we can figure it out. In case your back seat entertainment system is on the blink we can see what’s causing the problem. What Can You Do If My Stuff Is Bad? If we service your system and find you have defective equipment, you have some choices. For instance you can decide to replace the defectives with new product purchased from us. In this case we can credit you back some of the troubleshooting charges. Then we apply that credit to cover some of the installation costs of the new product you’re buying from us. What we don’t do: We don’t do bench tech repairs on defective equipment. For instance if we find your car radio is bad, we don’t take it apart to replace the bad parts inside. In other words, it’s time for a new radio unless you can find someone to repair it yourself. And we don’t re-cone or repair bad speakers. However, our service will figure out why your speaker sounds bad and how to fix it. Often there is something else causing the problem, like a bad amplifier. Many cars these days have hidden factory amps in them that you don’t realize are there. Why bother with Troubleshooting Service? Why not just replace what’s bad? Before you decide to replace or remove what you think is defective you better know for sure that it’s really bad. As an example you could just buy new speakers or a new stereo, right? But what if you still have the same problem you had before? As a matter of fact this happens all the time. Frequently the problem isn’t as simple as it seems. For instance speakers can sound bad due to many different causes. You could have a bad amp, stereo, miss-wiring, improper gain adjustments, etc. As a result troubleshooting service will save you money and time by making sure you fix or replace the right thing. 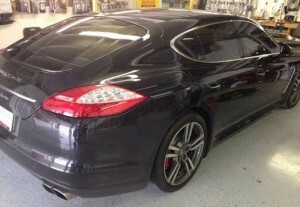 Why Come to National Auto Sound & Security? 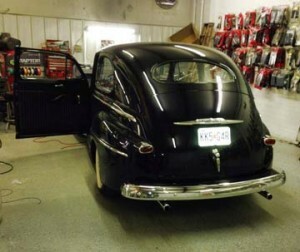 National Auto Sound & Security has been performing quality car audio installations and remote start installations as long as our industry has been in existence. In addition we have established a reputation for quality workmanship and affordable installation excellence. 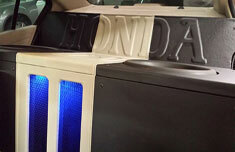 Moreover we are installation experts and are leaders of car audio installation in Kansas City. We thank you, our customers, for your support over many years. And we appreciate all the return business we get. Without you we would not be here. Thank you, and as always, we are here to serve you. Your rights as a consumer to put aftermarket alarms, remote starts and car audio equipment on your vehicle while keeping your factory warranty is protected by law. See Magnuson-Moss Warranty Protection Act. *While we can usually install your purchase the same day you buy it, sometimes especially during the busy holiday season we aren’t able to accommodate everyone the same day. In this case you may have to make an appointment to drop off your vehicle on a different day to have your installation done.